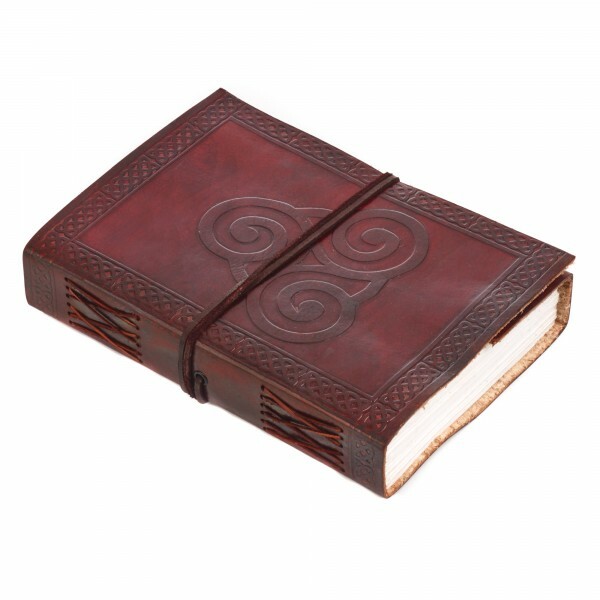 Our rustic yet stylish Celtic Triskelion Symbol design leather journals are handmade by a small family business in Rajasthan, India. 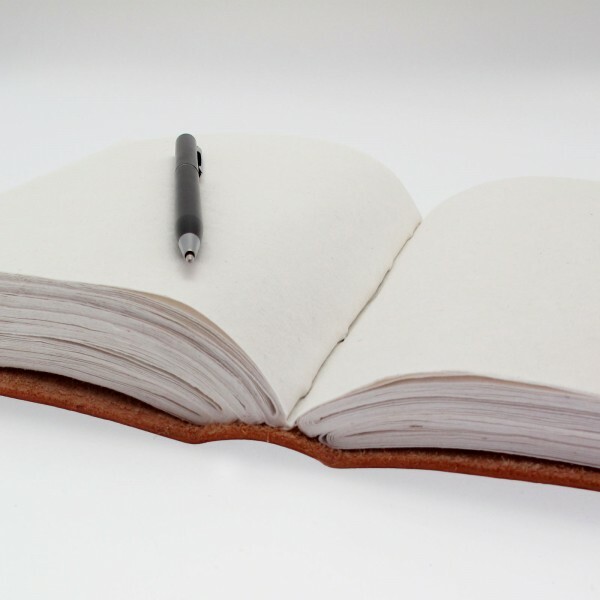 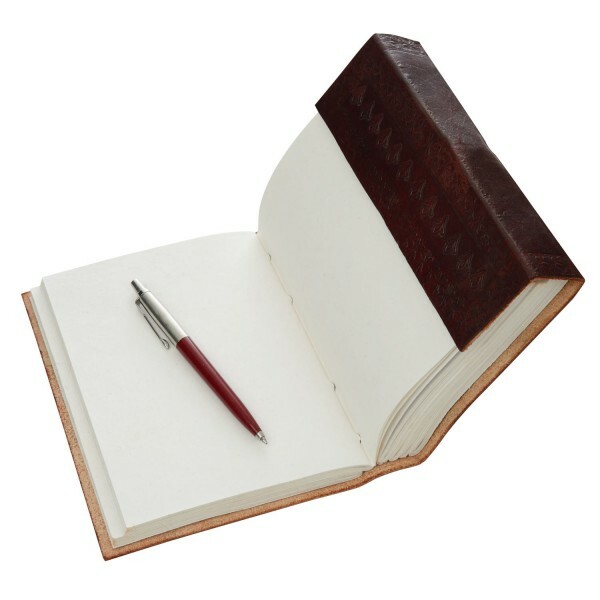 They have been expertly crafted using a mixture of contemporary and traditional methods and the pages have been bound by hand so they are strong and perfect for traveling. 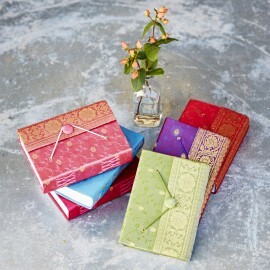 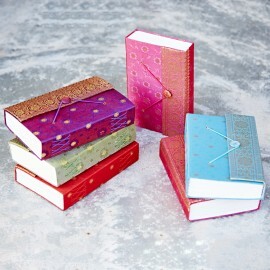 The embossing on these journals has been done with love, care and individual small handmade tools, making each journal unique. 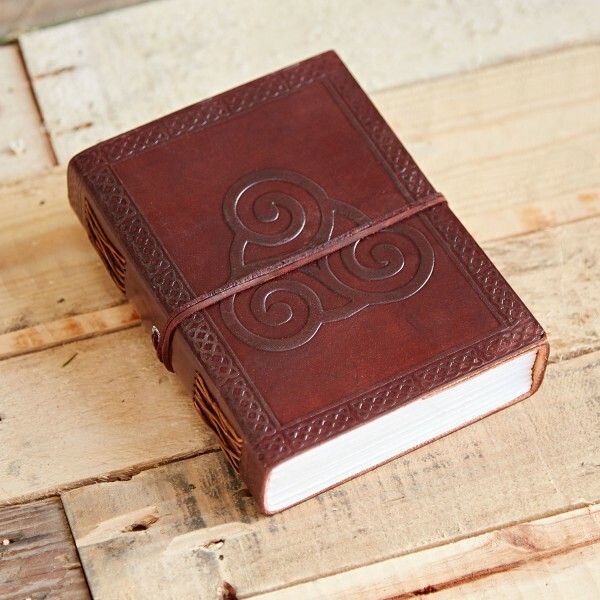 Due to the handmade nature of this leather journal, the small details of the embossed pattern might not be the same as on the image but the 'Celtic Triskelion Symbol' element of the design will be the same as shown. 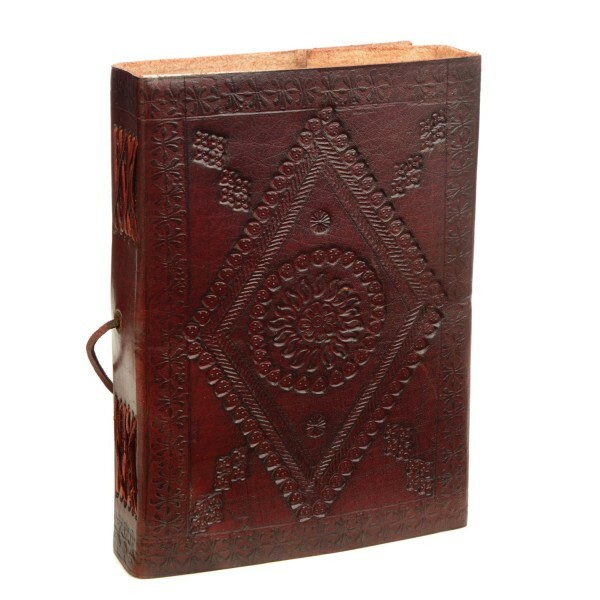 The leather has been tanned by our suppliers using a natural dye and then put together using a mixture of love, contemporary and traditional skills. 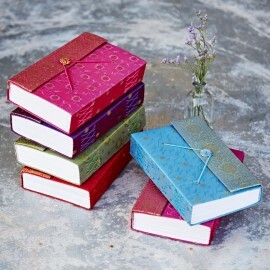 Beautifully made lovely material Thanks. 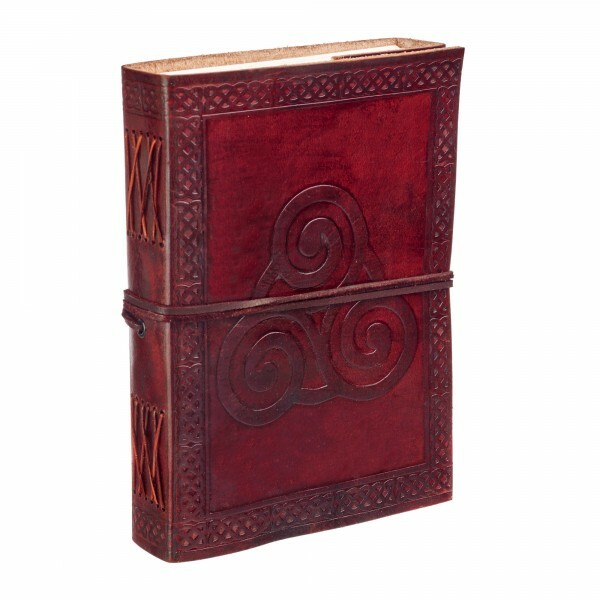 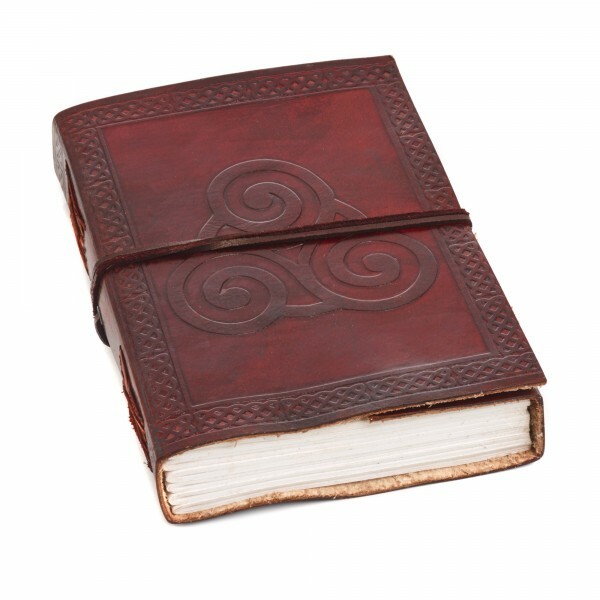 It's great to hear you think our Indra Celtic Triskelion Symbol Leather Journal is beautifully made. 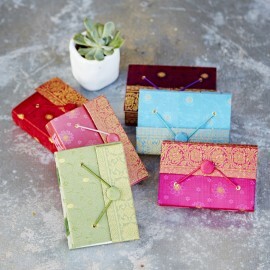 They're all handmade so we think they're great!